Legend, a Finland-based company specialized in custom luxury phones have come up with their latest collection. 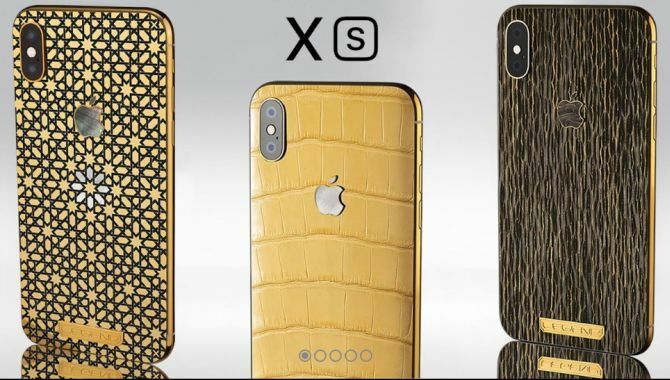 Based on the idea of bringing the most exclusive and luxurious electronics to the market, their latest collection includes iPhone XS and Apple Watch Series 4.The customized iPhone XS from Legend Helsinki comes in various back panel options such as gold plated, carbon-fiber and crocodile leather. The price for the base model starts around €3,000 and go up to €4,000 depending on the material used for customization. With gun attacks and terrorist activities on rise across the world, one furniture company is offering bullet resistant furniture to offer protection in the time of danger. 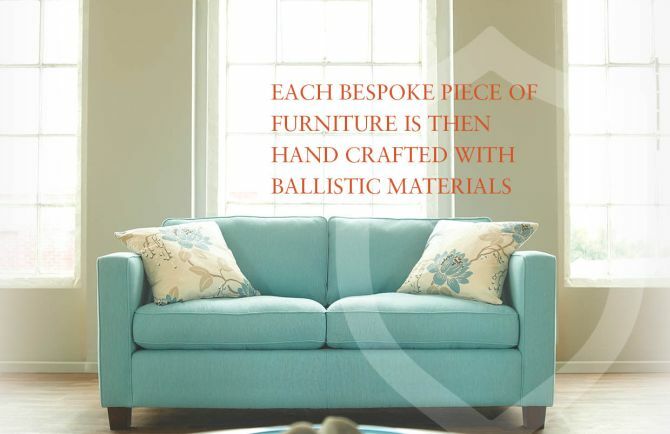 Osdin Shield, Glasgow, Scotland-based manufacturer of bespoke furniture is the firm behind world’s first “bullet resistant” sofas and chairs. Ideal for vulnerable places such as hotels, restaurants, shopping malls, museums, schools and homes, the furniture range comes embedded with ballistic material to offer protection to people. Well, this unique technology is hidden from view and does not compromise comfort and style of the furniture. The trend of biking/cycling is growing strong in all corners of the world. Whether it’s about commuting to work or a morning exercise session, with each passing day more and more people are adopting the new urban lifestyle. However, for people taller than 6’6″, it’s difficult to find suitable bikes that can carry their huge structure comfortably. 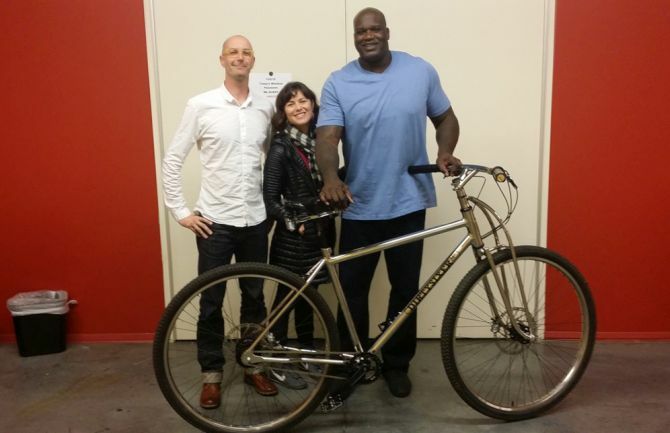 Well, worry not as DirtySixer, the only 36er bicycle hand fabricated for tall people by tall people is here for you. Designed by DirtySixer Bikes, a Santa Cruz, California-based company founded in 2013, these bikes are specifically custom made for riders with height between 6-feet and 7-feet-4-inches. Stunning Rolex watches mix luxury with style, while being a classic accessory to your routine outfits. 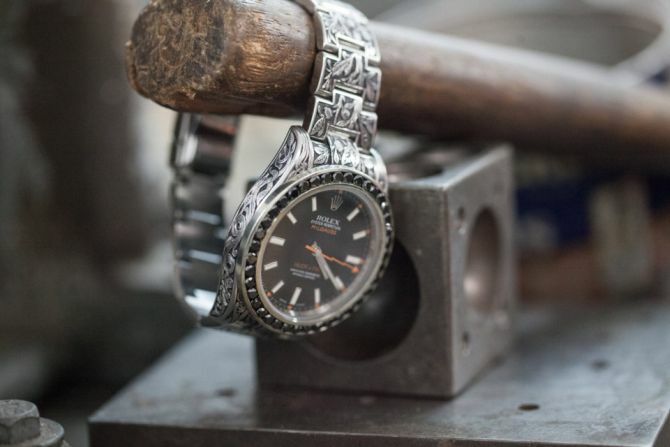 Combining superior quality and fashion, this time Los Angeles-based jewelry and lifestyle company Huckleberry Ltd. has collaborated with design house Fin De Temps (meaning “the end of time” in French) for releasing one extravagant custom Rolex watch each month starting this November. XRAY driver Bruno Coelho recently won the 2015 IFMAR 1:10 Electric off-road Racing World Championship at the Yatabe Arena in Japan. To celebrate his first IFMAR podium finish, MagnetikPenguin presented him with a customized OSKART machine, a 1/2 scale RC go-kart. 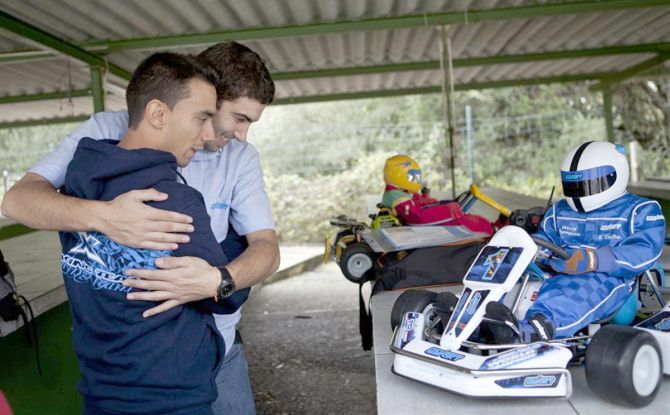 MagnetikPenguin is a Portugal-based company which develops and produces the OSKART, a 1/2 scale kart equipped with dynamic pilot and a combustion engine. The manufacturer presented Bruno a special model that has been specially customized for him. The upcoming Star Wars VII has created a buzz among crazy fans of the sci-fi flick. That’s why many designers are coming up with new gizmos from Sandtrooper-inspired headset to Darth Vader PS4. 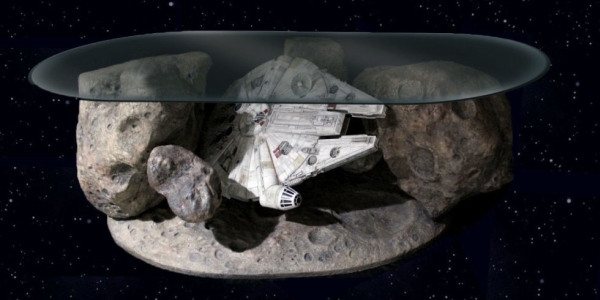 But this stunning Millennium Falcon Asteroid Field coffee table will put all other geeky furniture to shame. This year’s edition of New York International Auto Show is all set to begin from April 18 in Manhattan. Leading auto companies and automotive designers will be showcasing latest production vehicles and concept cars at the annual auto show. New York-based graffiti artist John “Crash” Matos who is widely recognized for his graffiti artwork and regarded as the architect of Graffiti art movement will also be exhibiting an art car at this year’s event. Known as Ferrari F430 Art Car project, the show piece has been developed by the artist in collaboration with Dorian Grey Gallery and Martino Auto Concepts. Manufacturer of world’s finest headphones and cartridges, Grado Labs has collaborated with Bushmills Irish Whiskey to produce a limited edition pair of headphones. The Bushmills x Grado headphones are personally designed by actor Elijah Wood and sound composer Zach Cowie over a period of five months. Hand-built by Grado Labs team, these headphones are created from recycled white oak bodies from the wood of old barrels which are brought in from Bushmills distillery in Ireland. Custom motorcycles with big rear tyres seem to be a very common trend these days. 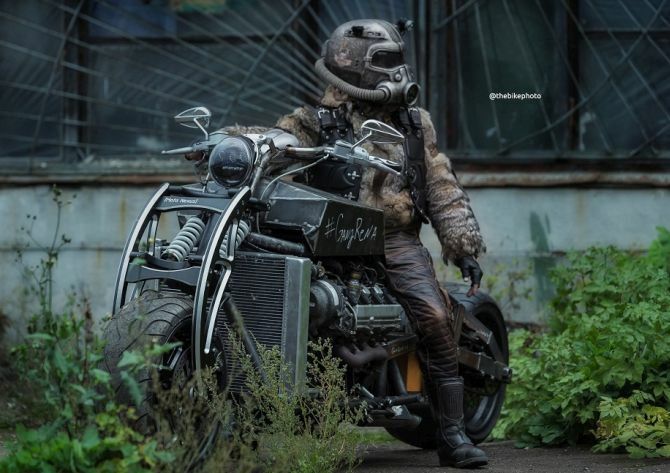 Looks like “Rods&Rides” a US based garage wants to change that trend as they have created the one and only 330mm front tire custom motorcycle in the world. The bike is none other than a custom-built Harley-Davidson and is named the Fat Pig, which is just the perfect name for this beautiful beast.